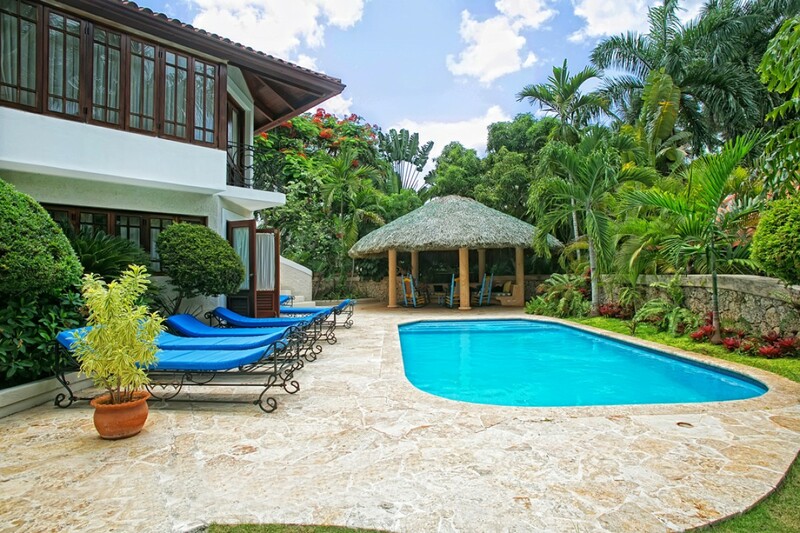 Villa Terraza Casa de Campo Dominican Republic. 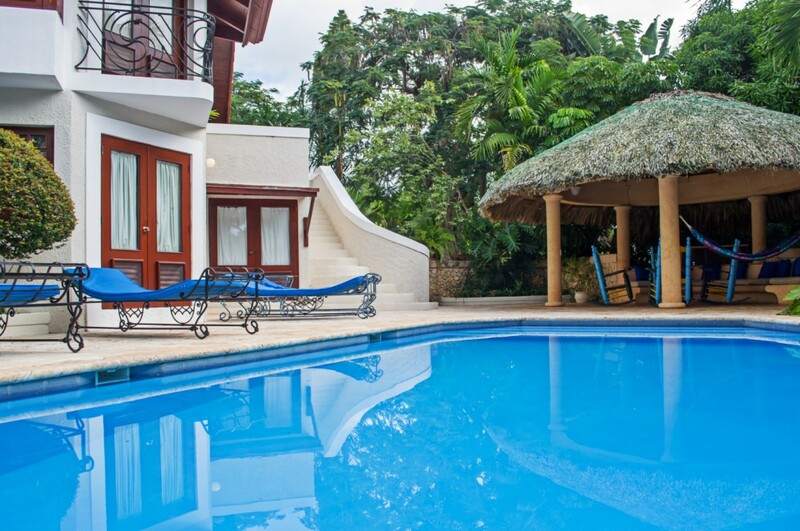 A garden villa just minutes from lovely Minitas Beach, the delightful Villa Terraza provides guests with an utterly charming setting from which to enjoy their Casa de Campo holiday in the Dominican Republic. 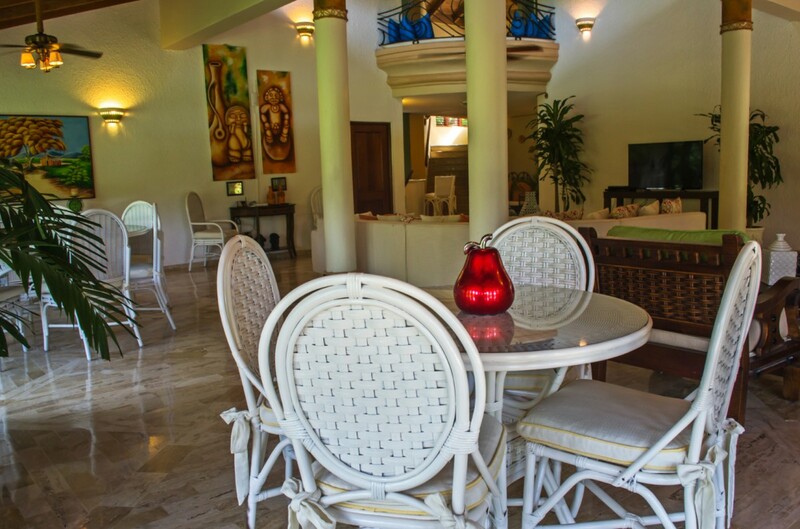 With its lovely gardens and trees, the sunny villa will enchant you from the moment you see it. 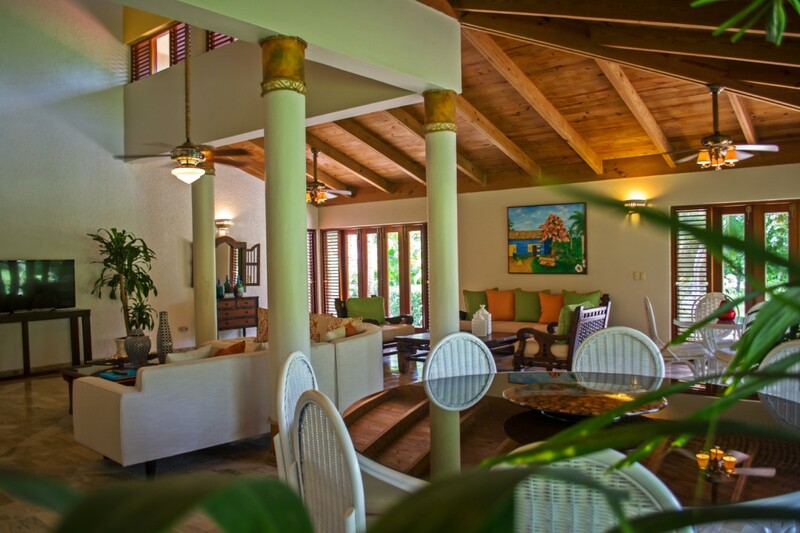 Enter through the large wooden front door and the airy foyer embraces you with its unique colors and décor. 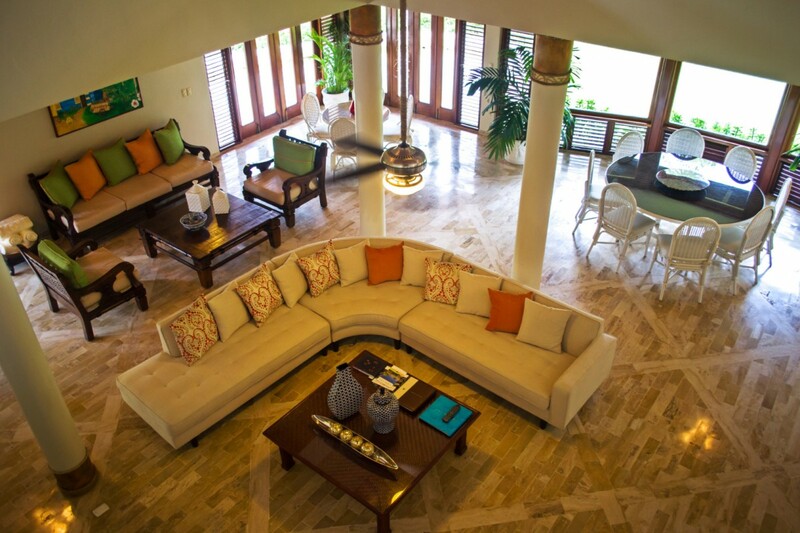 The shared living spaces of this three-bedroom villa include the large casual living room and dining space, which also features a TV room and terrace access. 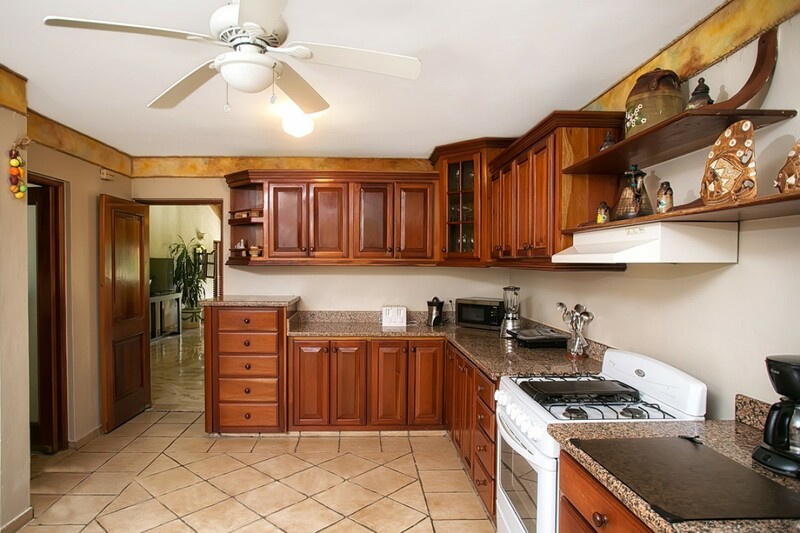 A formal dining room leads you to the full-sized, gourmet kitchen. Stepping from the villa brings you to the lovely stone terrace. 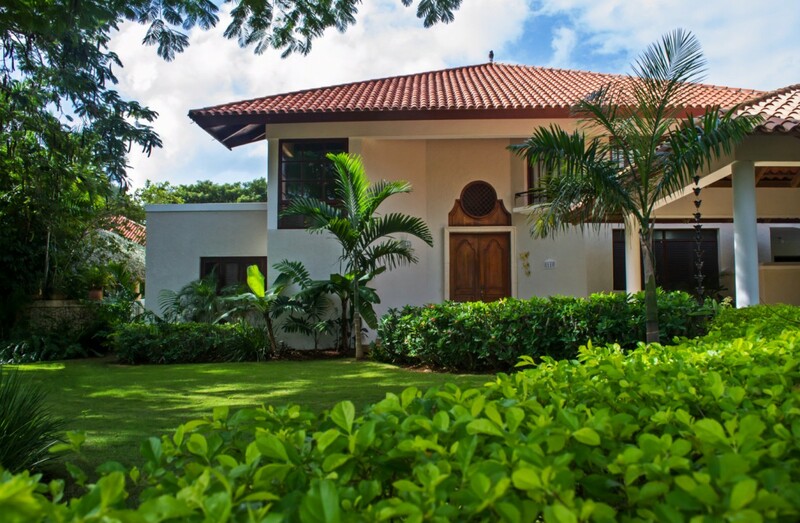 Kept private by the row of tall palms and stacked stone wall, it also includes an oval swimming pool and a grass-roofed gazebo that is furnished with colorful rocking chairs, a hammock, and which can also serve as an appealing al fresco dining area. 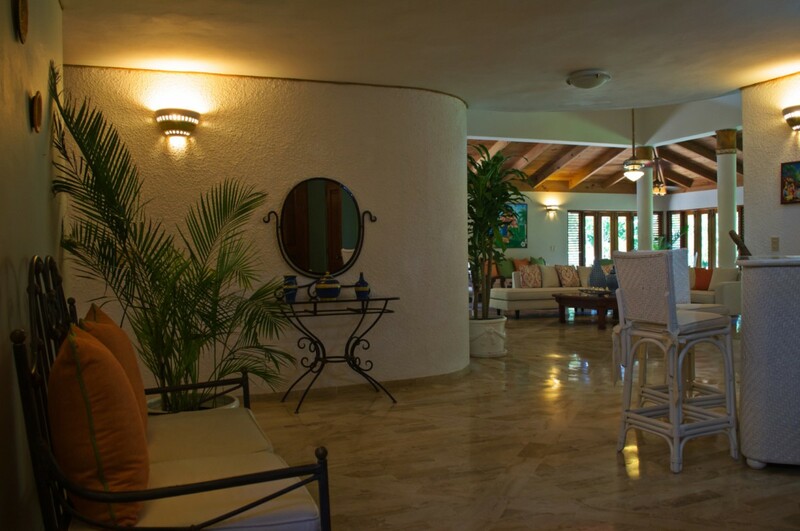 Take the stairs to the sun porch above, and enjoy your daily cocktail hour. 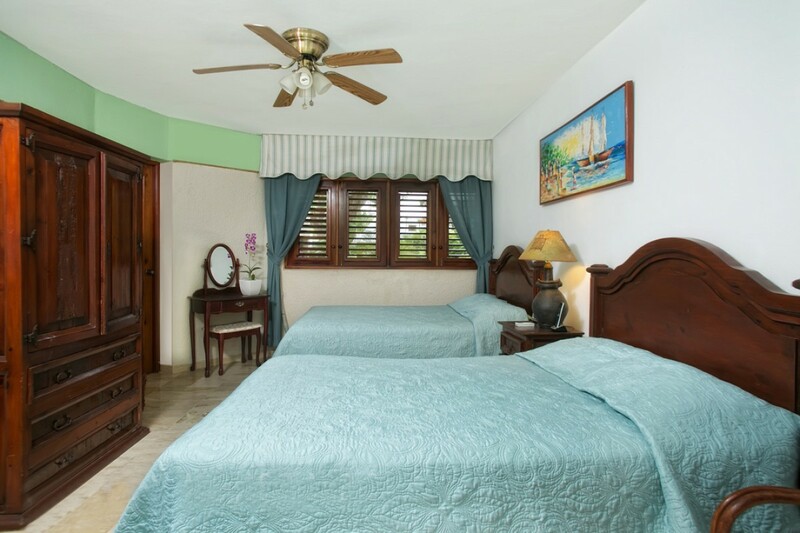 The three oversized bedrooms are as colorful and beautifully decorated as the rest of the property and feature private baths and entertainment systems. 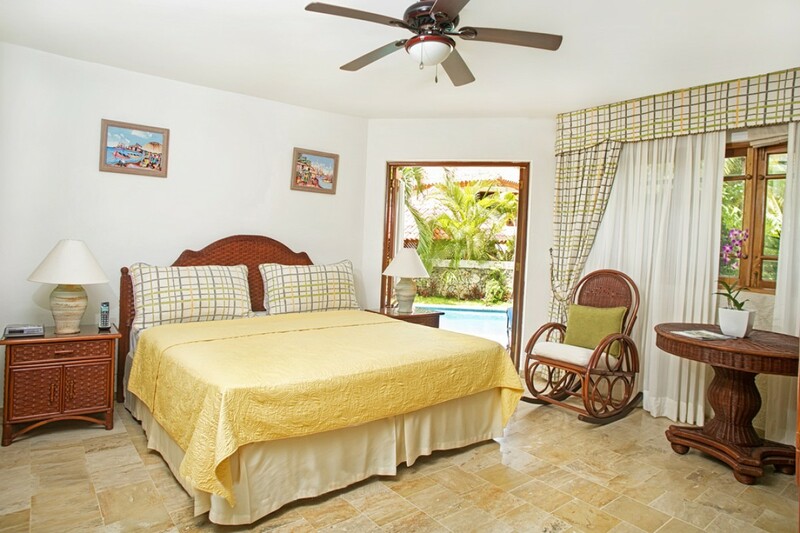 The master bedroom is on the ground floor and it opens to the terrace. 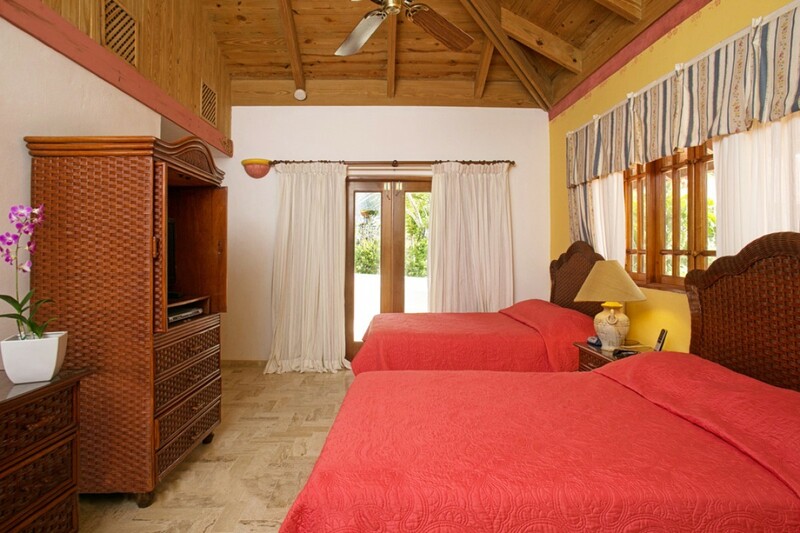 The remaining bedrooms feature two double beds and private balconies. 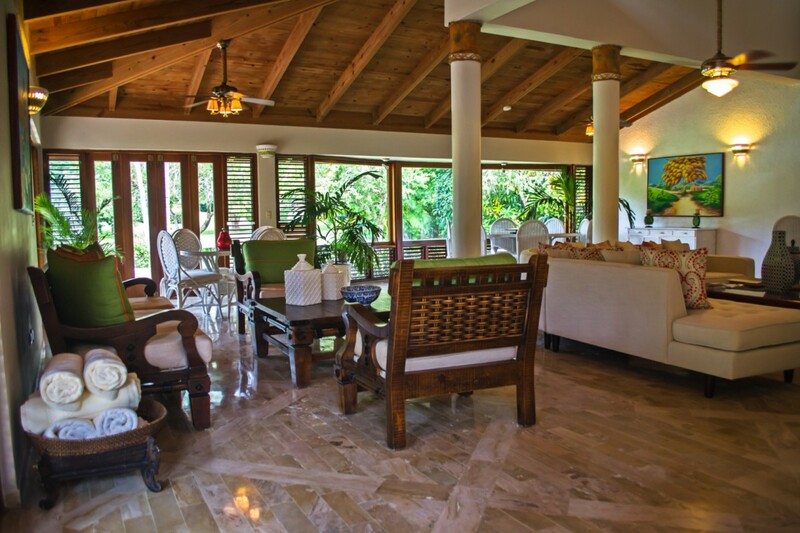 Visitors enjoying a stay at the Villa Terraza will receive daily breakfast service in the villa as well as the services of a housekeeper, concierge and butler. 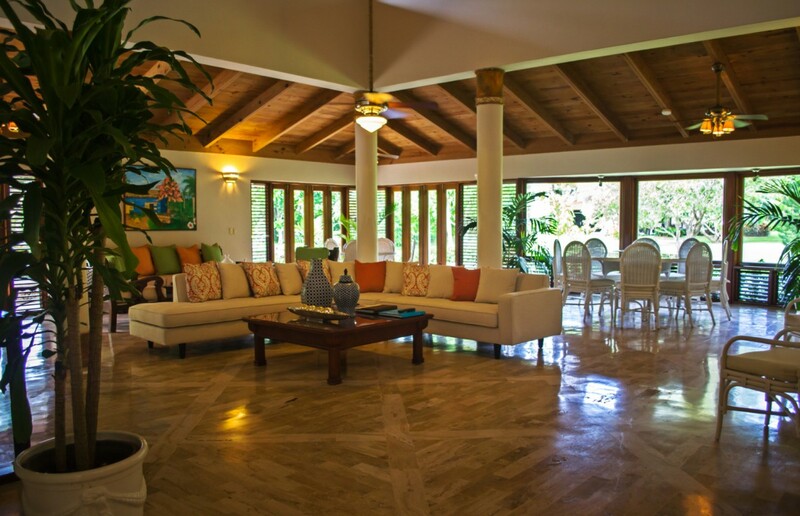 Access to all of the resort's services and amenities are part of the experience too. Bedroom 1: Ground floor Master bedroom with a king-size bed, A/C, ceiling fan, TV, walk-in closet, access to the pool area and en-suite bathroom with bathtub, walk-in shower, double vanity and WC. 2 guests maximum. Bedroom 2 & 3: Upper floor bedroom with two double beds, A/C, ceiling fan, TV, private balcony and en-suite bathroom with shower, vanity and WC. 2 guests maximum. 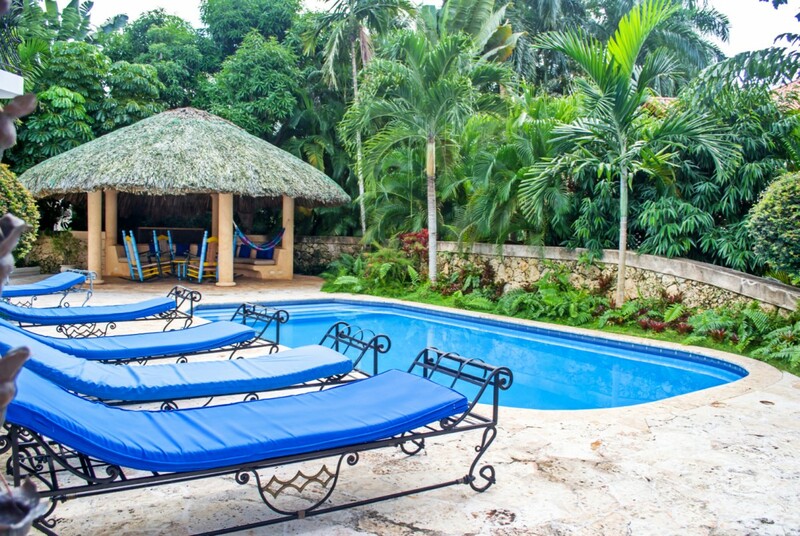 Terraza is offering 33% off for travel between April 21, 2019 and October 31, 2019.